Trusted functionality, now without preservatives! 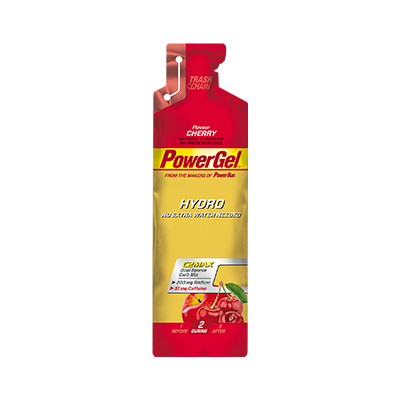 POWERGEL HYDRO delivers carbohydrates in a scientifically developed 2:1 ratio of glucose and fructose sources – we call it C2MAX Dual Source Carb Mix. 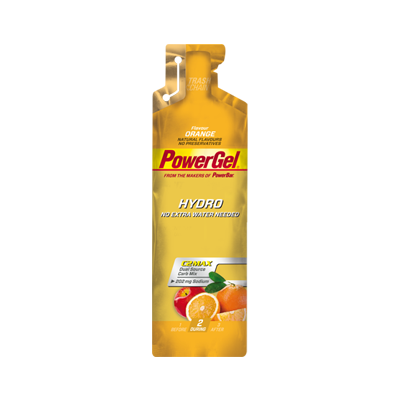 POWERGEL is convenient during sport due to its compact size and it is easy to swallow without drinking fluid directly afterwards. 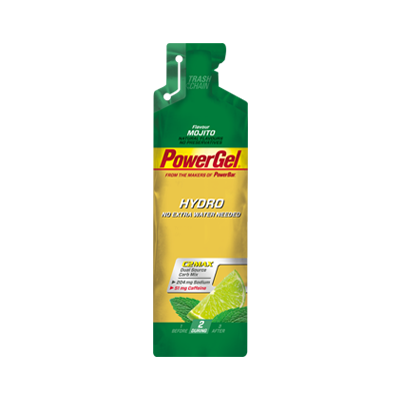 The refined formula of POWERGEL is now better tasting than ever, vegan, free of 14 major allergens, artificial flavours and preservatives! Water, maltodextrin, fruit juice concentrates (12%) (apple, sour cherry), fructose, sodium chloride, sodium citrate, acid (citric acid), natural cherry flavouring with other natural flavourings, caffeine (0,06%). During sport we recommend consuming up to 90 g carbohydrates per hour depending on intensity and duration. 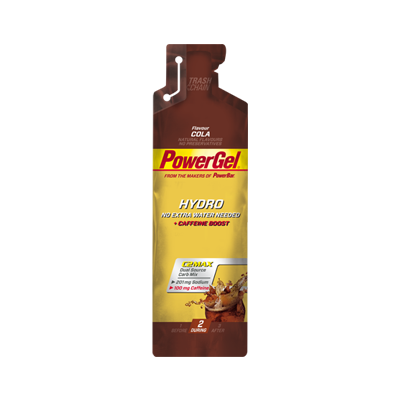 1 POWERGEL HYDRO delivers about 25 g carbohydrates. Consume 1 pouch every 20 – 45 minutes during exercise. For flavours without caffeine: 1 – 4 pouches/day. For Cherry and Mojito flavour: 1 – 3 pouches/day. For Cola flavour: 1 pouch/day. The Cherry and Mojito flavours have a high caffeine content (76 mg/100 ml) and are not recommended for children or pregnant or breastfeeding women. The Cola flavour has a high caffeine content (150 mg/100 ml) and is not recommended for children or pregnant or breastfeeding women.